Dedicated front and rear specific tyres. It makes a lot of sense - at the front you want maximum control, at the rear you want serious traction, and at both ends you want great feedback and low rolling resistance. Plus the front wheel is under less load, and so the tyre can be made lighter without any downsides. Conti's Attack/Force pairing was a revelation when it first came on the scene, and they've proven themselves, and continued to improve, ever since. This latest version sees them embracing the trend towards larger tyre volumes - the front is now 23mm and the rear 25mm (each 1mm wider than the previous generation). 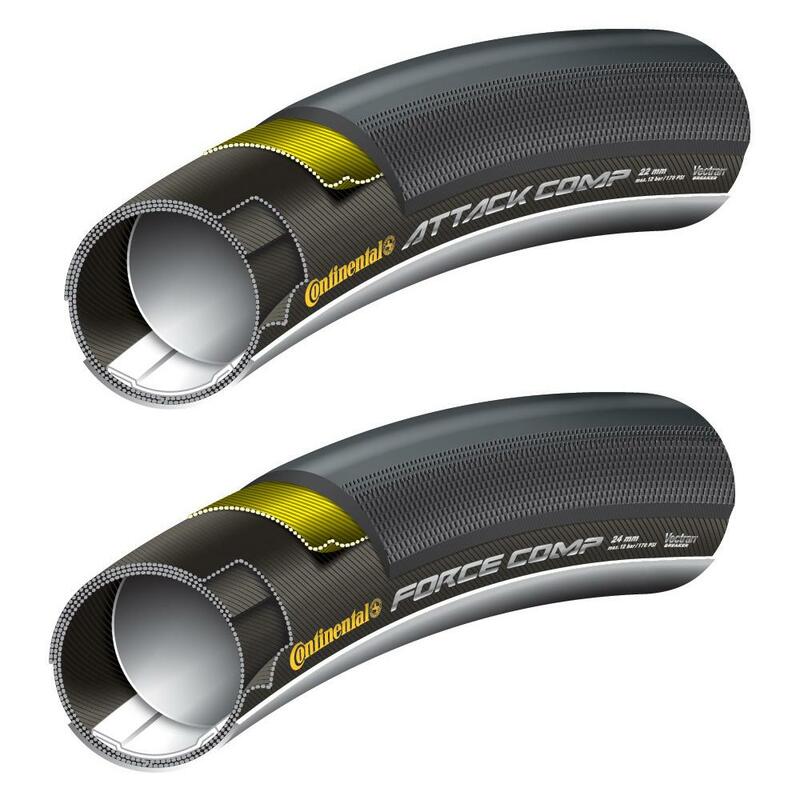 The tread patterns are optimised, different on front and rear, to provide the maximum benefit, and the tyres use Continental's Black Chili compound, which appears throughout their range, and provides a fantastic level of grip without wearing out too quickly. All in all a great pair of "do everything" tyres for training, race days and more. They're not the lightest (but not unduly heavy) and not the most puncture resistant (although in line with the competition), but what they do offer is a level of grip. power transfer and handling that's hard to beat.